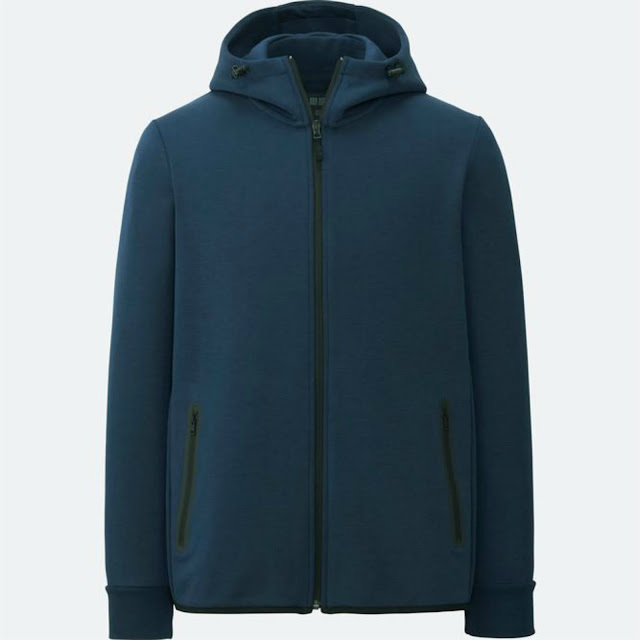 UNIQLO’s recently launched 2017 Fall/Winter collection offers functional and stylish LifeWear pieces that liven up any rainy day wardrobe. Rainy days can be incredibly difficult to dress for. Showers can be unpredictable, which brings about changing weather conditions. To ease Filipinos from the inconvenience of unnecessary outfit changes and getting caught in the rain unprepared, UNIQLO introduces its range of jackets and denim jeans from its newest collection. Designed to combine function and style, each LifeWear piece, whether it be a jacket or a pair of denim jeans, is reflective of UNIQLO’s commitment to perfection in design and technological innovations. Available in a number of colorways and designs, these pieces become the building blocks of everyday style. In unpredictable weather, your best bet is a pair of well-fitting jeans. Versatile as they are, jeans pair well with jackets that easily transition from work to play, or even a weekend away. Offering full coverage where a simple umbrella can’t, jackets with water repellent technology and quick-drying features will keep you dry all season long. Great for mixing and matching, choose from UNIQLO’s latest collection to get the look that best fits your individual style, no matter the activity or the weather. A versatile pair of jeans to add to your everyday wardrobe, UNIQLO’s new Cigarette Jeans features an on-trend high rise cut. These straight-fit jeans flatter the figure by accentuating leg length and employ Kaihara stretch denim to optimize comfort. 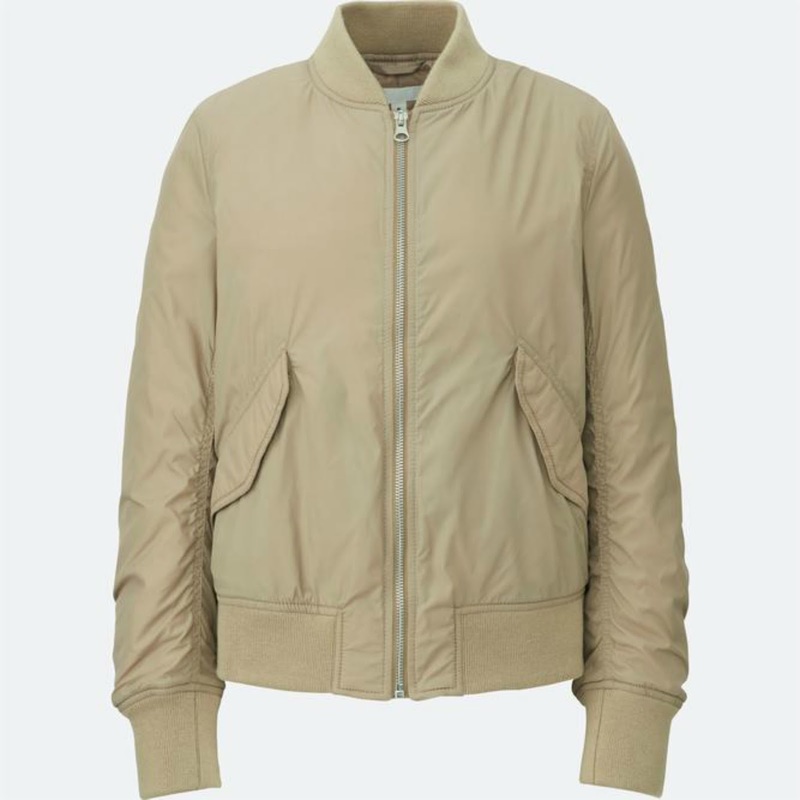 Inspired by classic military jackets, the MA-1 Blouson is a closet staple. 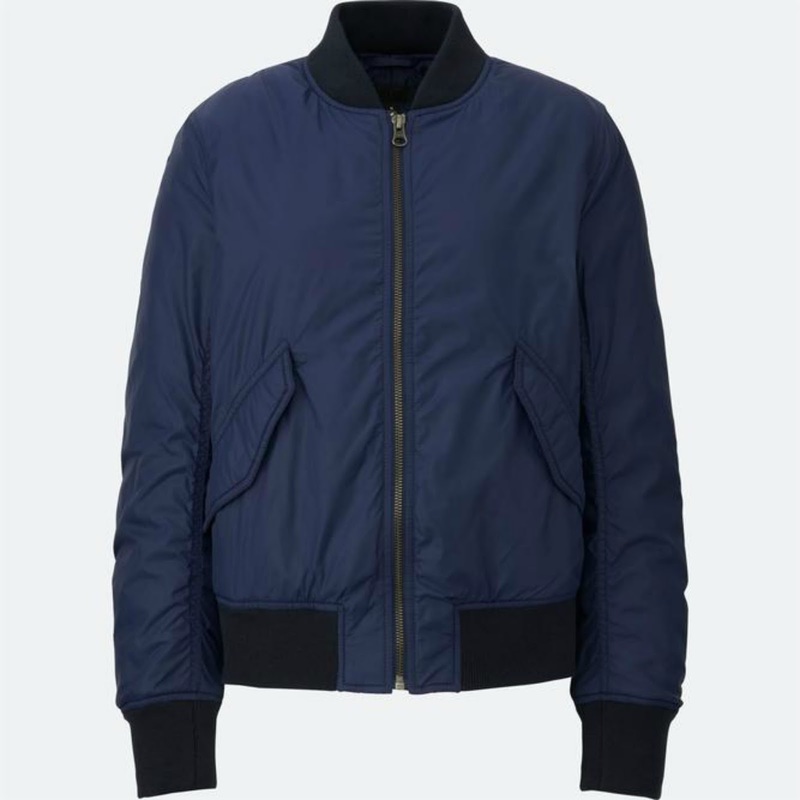 Faithful to the MA-1 design, notable details include a ribbed collar, cuffs, and hem plus flap pockets. The Look: The MA-1 Blouson’s rounded silhouette makes it an ideal pair for the Cigarette Jeans’ skinnier fit. This look will keep you warm on a rainy day when running errands around the city during the work week. Made with ultra stretch fabric from Kaihara, UNIQLO’s Ultra Stretch Skinny Fit Jeans provide the best movement and comfort. Made with a sleek silhouette, the jean’s slightly tilted back pockets create a stylish rear view while wider side seams give it a soft, gentle feel. An ideal choice during the rainy season, the men’s MA-1 Blouson is durable and made water repellent technology. 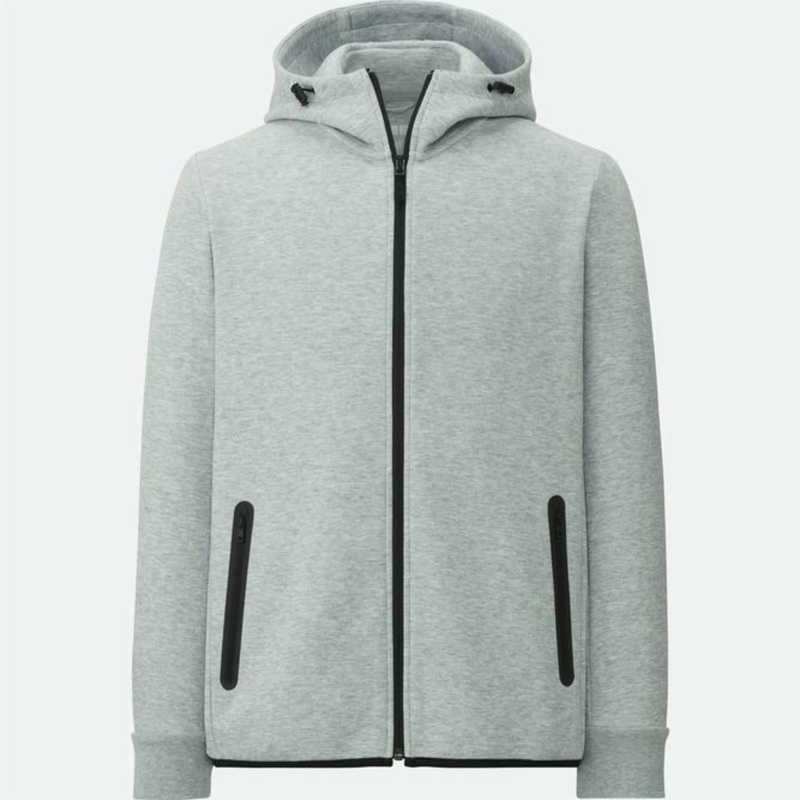 Designed with a matte finish and tasteful design details such as a cigarette pocket and storm flap, this jacket adds a sleek touch to any outfit. The Look: Pairing pieces with sleek silhouettes lend your rainy day outfit a clean and put-together appeal. Stretch fabrics are also versatile pieces that work well for unpredictable weather and temperature changes. UNIQLO’s EZY Jeans make the perfect companion for weekends away. Made with an adjustable waistband, this pair offers a snug and comfortable fit ideal for men on the go. Tasteful processing of the denim from the Jeans Innovation Center lends the pair a vintage appeal. Great for sports or everyday casual wear, the UNIQLO Dry Stretch Sweat Full-Zip Hoodie is a functional jacket highlighted by quick-drying properties. Its stretch material allows for exceptional ease of movement, no matter what the activity. The Look: A weekend away always calls for comfortable but stylish clothing. These two pieces seamlessly bring together form and function, a perfect combination when dressing for rainy day weather. Comfortable as sweats, the women’s EZY Jeans from the Jeans Innovation Center are a fuss-free piece ideal for relaxed weekends. Comfortable yet designed with the style of jeans, this pair is versatile enough to be worn running errands around the city or on a road trip out of town. Light and handy, UNIQLO’s Pocketable Parka is an ideal companion during the unpredictable rainy season. 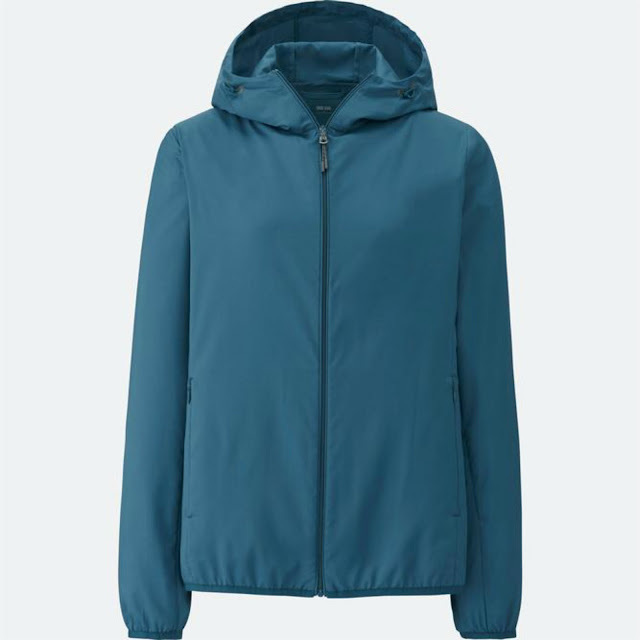 Made with Japanese technology, this jacket is made with a durable water-repellent coating and shoulder lines that shift to the back to help prevent rain from seeping in.